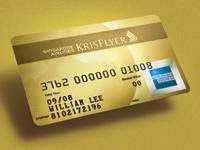 I got upgraded to a KrisFlyer Gold last month and I have been enjoying the privileges ever since: priority tag for my luggage, airport lounge while waiting for flight, front row seat inside the airplane etc. But when there was a flood in Jakarta on Friday and I had to fly there to see my family, I guess that Gold status is good only up to Changi Airport in Singapore. Once my flight landed to Jakarta, I needed to take a bus that looks like the one used for passenger evacuation in the Speed movie just to get to the terminal. Due to a very bad weather in that day, the authority was shutting down the airport for 5 hours so there were so many airplanes stuck there hence no place to for my plane to park properly. Landing to the airport is one thing, getting out from the airport is another story. The flood made no cars can pass through the only highway to the airport because some part had been covered by 80 cm of water. There I was stuck for couple of hours until one guy offered me to use military vehicle just to get out from the airport. We must took a long way from the back side of the airport to get to city center and after 3 hours I finally got to the closer place to my parent’s house, and the road was full of water. Some guy with motorbike offered me to cross the water to reach the house. I took the challenge and we almost made it even with the bike exhaust was already in sub water until suddenly the engine shutdown and we fell down together. So that guy and I finally worked together to push his bike our from the water until we reached the higher spot. I paid him some money and continue my journey by foot. The water was just below my hip and I carried my luggage, with the priority tag, over my head. I finally reached my parent’s house, cleaned up myself, and took my car from the garage. It’s a SUV so I was able to drive pass through the water and got into the highway that take me to my home city, 150 kms from Jakarta, around 2 hours later. Imagine what someone has to go through just to get home. But it’s all worth the effort. And it was fun too. I was not able to pong b/w FREEBSD to XP but the otherway was working. Disabled the firewall on windows xp and it starts working.